Cape Town has a host of luxury and budget-friendly hotels ideally located close to all the main tourist attractions such as Table Mountain and the V&A Waterfront. Whether you’re looking for a simple room in which to rest at night, or prefer a more luxurious suite with all the bells and whistles, Cape Town has something for all tastes. 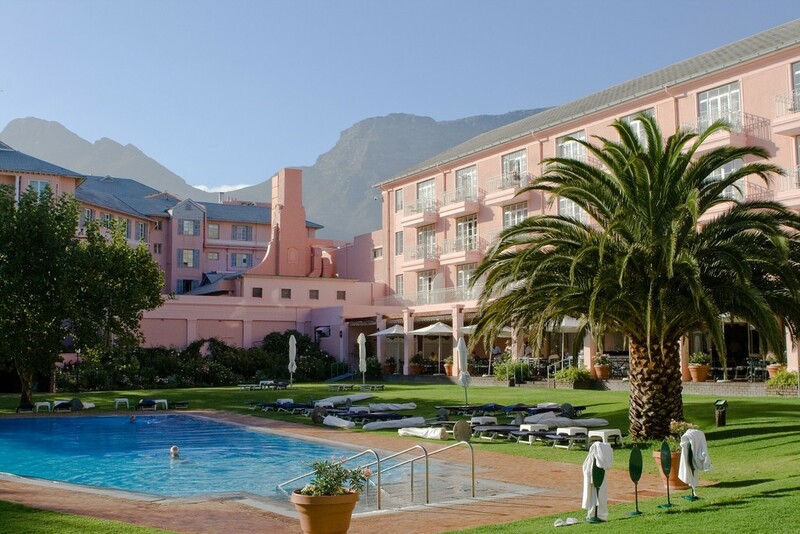 The Mount Nelson is one of Cape Town’s most iconic five-star hotels located in the leafy suburb of Gardens. Set in a lush, tranquil garden, the Victorian-style hotel offers deluxe rooms and suites, most of which boast small private balconies overlooking the garden. The rooms are light and airy, featuring Provencal-style furniture and elegant marble bathrooms. For a more secluded experience, opt to stay in one of the hotel’s quaint garden cottages, replete with white picket fences, private terraces and access to a private swimming pool. During your stay, enjoy a delicious meal or afternoon tea at one of the on-site restaurants or pamper yourself at the Librisa Spa. The Taj is a luxury hotel set in the vibrant heart of the city center, directly opposite St George’s Cathedral and the Company’s Garden. Boasting an old world charm, the hotel retains much of the architecture and interior features of the two 19th-century buildings which it occupies. Guests can choose between colonial-style luxury rooms, suites with private balconies, or the two-floor presidential suite, all of which boast sweeping views of either the city or Table Mountain. The on-site Bombay Brasserie, Mint Restaurant and Twankey Bar serve both local and international fare, while the hotel spa offers rejuvenating treatments. 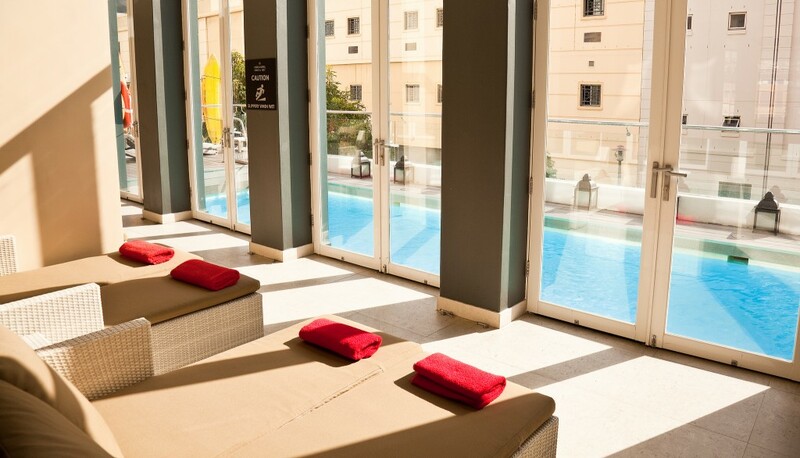 Situated across the road from the Company’s Garden, the African Pride Hotel is a sleek and contemporary alternative to the colonial-style hotels that are prevalent in Cape Town. Guests who wish to explore the city can do so on foot as there are many boutiques and restaurants within walking distance. For those who prefer to relax at the hotel, a variety of facilities are on offer such as a gym, rooftop pool and spa. The hotel’s luxury rooms feature modern décor and bespoke furnishings with views of either the city or Table Mountain. Hungry patrons need not go far as the hotel boasts a restaurant, coffee shop and two bars. The Cape Town Hollow Boutique Hotel is situated in Queen Victoria Street, directly opposite the beautiful Company’s Garden. It consists of 28 standard rooms overlooking the city and another 28 rooms boasting Juliet balconies with views of Table Mountain. Each charming suite features candy-stripe wallpaper, white linen and simple furniture. Guests can choose to cool off at the outdoor pool or enjoy local cuisine at the on-site à la carte restaurant. The Grand Daddy is a boutique hotel situated in a revamped 19th-century Cape Dutch building on vibrant Long Street. The hotel’s luxurious designer rooms are decorated with chic, modern furniture and overlook the courtyard or street. However the most noteworthy accommodation at this hotel is not found within its four walls, but rather upstairs on the rooftop. Here a ‘trailer park’, comprised of seven retro trailers complete with their own mailboxes, provides guests with a truly unique experience. Each Airstream trailer (shipped in from the United States) is individually decorated according to a South African theme and contains a queen-size bed and en-suite bathroom. One of the oldest hotels in Cape Town, the Southern Sun Cape Sun Hotel is located at the beginning of St George’s Mall on bustling Strand Street. The hotel has 368 elegant en-suite rooms and suites, each equipped with amenities like free WiFi and satellite TV. Picture-postcard views of Table Mountain, Robben Island and Table Bay contribute to an unforgettable stay, along with easy access to Cape Town’s top attractions. Hotel guests can make use of facilities like the indoor pool, fitness center, and the Camelot Spa. The in-house restaurant offers a daily breakfast buffet, as well as delicious lunch and dinner menus, while drinks can be enjoyed at the New York-style Le Bar and Lounge. The Protea Hotel Fire & Ice is located within walking distance of Long Street, while the V&A Waterfront is a mere 10-minute drive away. The hotel is characterized by contemporary, chic décor and offers 201 standard, superior and luxury rooms with all the modern comforts of a four-star hotel. Guests can choose to unwind at the outdoor lap pool, work out at the gym or enjoy a massage at the spa. Even if you don’t choose to stay here, pop by the hotel restaurant for lunch or dinner — their gourmet hamburgers and American-style milkshakes are amazing! The Park Inn is located within walking distance of the Cape Town International Convention Centre and one mile from the V&A Waterfront. This modern hotel offers 120 standard rooms, suites and one-bedroom apartments with views of either the city or Table Mountain. Some of the rooms have balconies with outdoor furniture for guests to enjoy the view and fresh air. The interior décor features colorful designer carpets, light wooden furniture and multi-colored accents. Guests can choose from local specialties and a selection of South Africa’s finest wines at the in-house restaurant, or enjoy cocktails and breathtaking views of the city and Table Mountain at Harald’s Rooftop Bar & Terrace. On hot summer days, the rooftop splash pool is a perfect place to cool off after a long day of sightseeing. 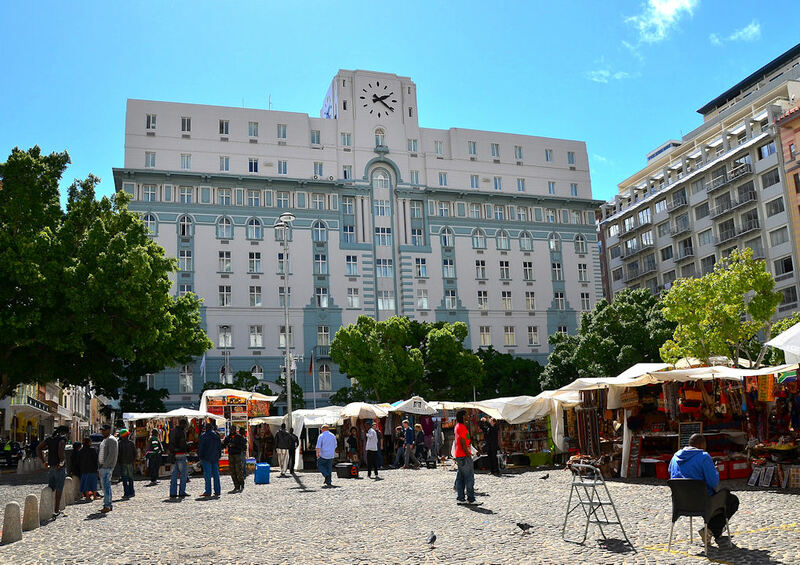 Overlooking the vibrant and colorful Greenmarket Square, aha Inn on the Square is conveniently situated within walking distance of the Company’s Garden and many other attractions. The hotel offers 165 contemporary-styled rooms featuring shades of orange, dark grey and beige. Guests can enjoy quality South African cuisine at the in-house Dish Restaurant, the Cobble & Stone Pub or on the terrace. Other activities include a heated outdoor pool, gym and sauna. Situated in Heritage Square, the Cape Heritage Hotel offers direct access to the city’s business district, boutiques and restaurants. Located in a restored 18th-century building, the hotel offers guests the opportunity to experience history while enjoying modern standards of service and accommodation. The hotel interior features burnished hardwoods and original exposed wall niches and murals, perfectly complemented by elegant furniture and décor that reflects Cape Town’s diverse cultural heritage. There are 15 rooms and three apartments to choose from, each with its own unique character to complement the historical style of the hotel. The luxurious rooms feature original artworks by established local names, high-beamed teak ceilings, Cape yellowwood floors, carefully preserved bespoke details, and modern amenities such as air-conditioning and satellite TV. The hotel’s central courtyard provides a welcome retreat from the bustle of the city where guests can dine al fresco at one of the Heritage Square restaurants.